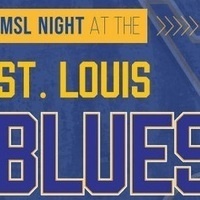 Alumni, Students, Faculty and Staff are all invited to join us for UMSL Night at the St. Louis Blues. Ticket purchase includes an UMSL / St. Louis Blues themed winter hat and you will be entered into a chance for a Special St. Louis Experience opportunity. Purchase tickets before February 1 to assist with final preparations and communication. Pick-up tickets and winter hats by Monday, February 11 by 5pm at the Millennium Student Center, room 366 front desk by printing off your receipt of tickets. All purchases are final and no refunds will be processed.